The city of Mountain View was named for its views of the Santa Cruz Mountains. 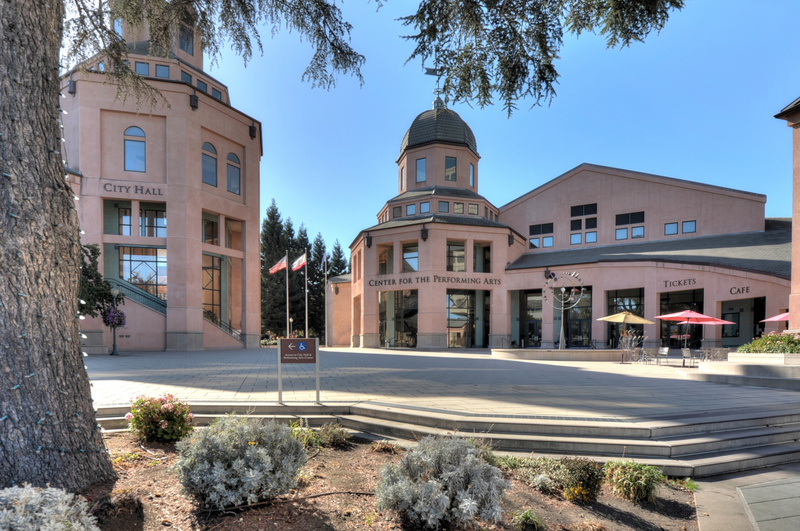 From its origins as an early stagecoach stop and agricultural center, Mountain View has grown since its incorporation in 1902 to a thriving city of 80,000-plus residents in the heart of Silicon Valley. Mountain View borders Palo Alto and the San Francisco Bay to the north, Los Altos to the south, and Moffett Federal Airfield and Sunnyvale to the east. Encompassing 12 square miles, Mountain View is surrounded by Palo Alto, Los Altos and Sunnyvale. Highways 101, 85 and 237, as well as light rail and Caltrain, offer quick access to the rest of the Bay Area. Mountain View is home to many high technology companies. In 1956, Shockley Semiconductor Laboratory, the first company to develop silicon semiconductor devices in what came to be known as Silicon Valley, was established in the city by William Shockley. Today, many of the largest technology companies in the world are headquartered in the city, including Google, Mozilla Foundation, Symantec, and Intuit. Although many clients like to set up their own MLS searches, I have set up generic searches for you here. If you would like to set up your own search feel free to do so or contact me and I can set up an automated search for you.